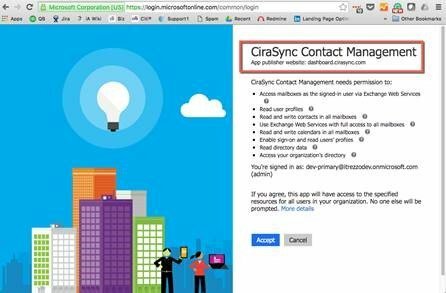 Removing user consent so that CiraSync can no longer access your mailbox, you can visit this Microsoft link: https://myapps.microsoft.com to see all applications that have access to your Office 365 / Azure account. There will be one last confirmation before your request is completed. For additional information, click on this Microsoft Article to learn more about Managing User Consent.